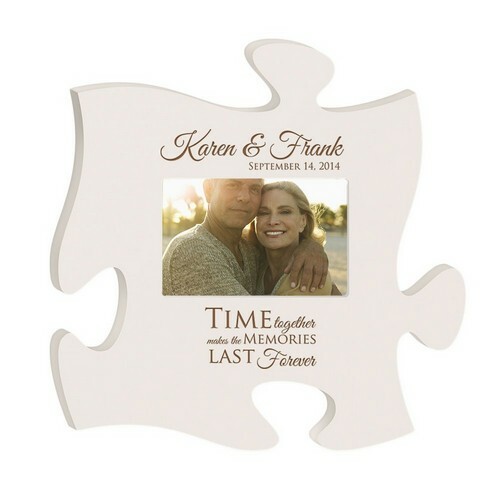 This beautiful Personalized White Wooden Puzzle Piece Picture Frame makes a lovely, personal gift that will be appreciated and cherished for years to come. 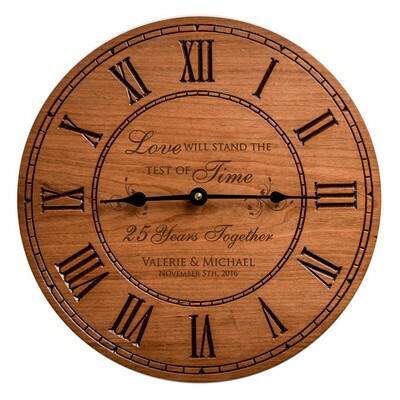 The 12" x 12" puzzle wall decor includes the inscription "Time together makes the memories last forever." 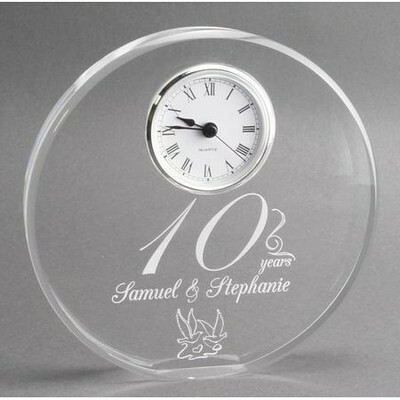 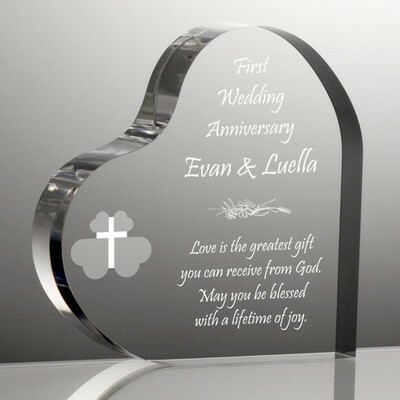 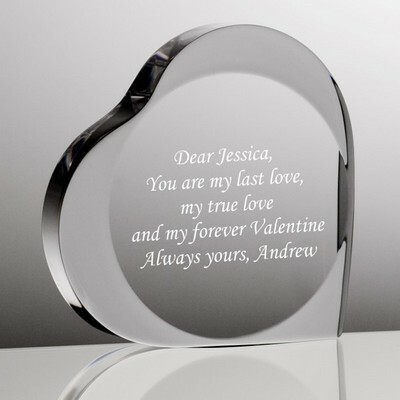 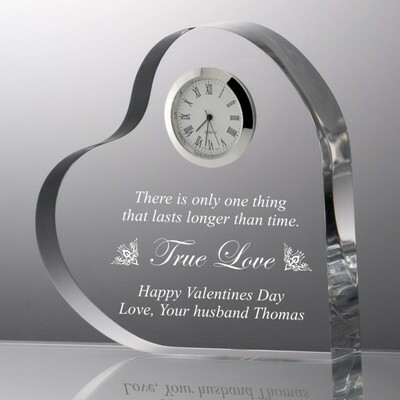 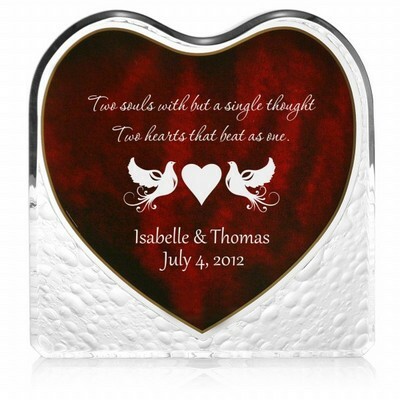 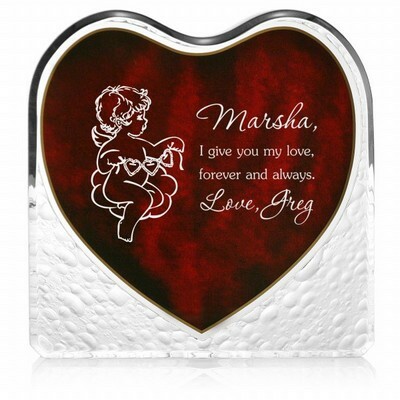 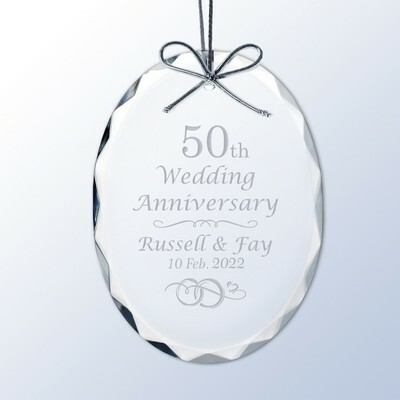 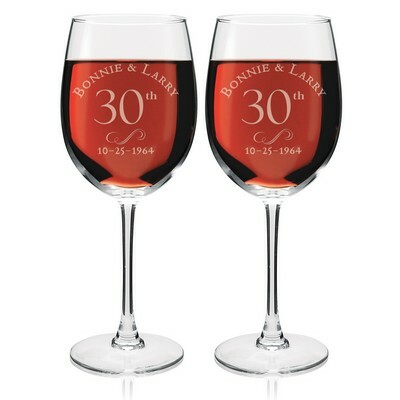 and can be personalized with the couples name and anniversary date. 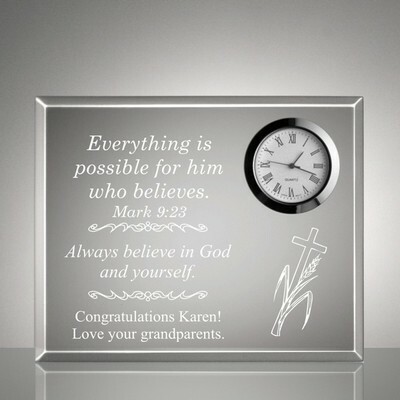 It also holds a 4x6 photo.